8 Steps to Run Your Own War Game — Seprio | Protect Your business priorities. Contract better. This is the second installment of our 3-part podcast series on War Games... gaming what-if scenarios with key vendor partners before something bad happens. In our first podcast, we discussed War Games, generally…what they are, their benefits, and, at a high level, what place they may have in pre- or post-contract vendor management. In this episode, we take an in-depth look into the specifics of war gaming. We welcomed back special guest, Caren Shiozaki, to talk about how to best set up, and conduct, your war game. She shared with us her 8-step plan to conduct a war game. Here’s a peek into our conversation. First and foremost, make sure you have support from executive management to conduct a war game. You want them to make it clear that people’s participation is important to the organization’s strategy, mission, and goals. Assessing the impact of legislation (e.g., compliance with GDPR). Be aware that not every subject or situation lends itself well to war games. Before you jump into planning a war game, make certain that a war game is appropriate for the problem you’re trying to address. For example, anytime a government entity would need to be a significant player in the war game, you probably won’t have much luck getting their involvement. Figure out the people requirements, timeline, budget etc. War games can run one to a few days, depending on the subject and complexity. Average preparation time for a 3-day game is approximately one month. There are also some cost components to consider if you’re bringing in outside consultants, need to acquire additional tools, or building out a simulation environment. 2) Build the team of people. There will be one group of people that design the war game, and another that will be players. It isn’t unusual for people who have given input into the design to also be on player teams. Who you engage will depend on the nature of the war game and the impacted stakeholders. If you are designing a war game that is more tactical in nature, you want to get information from those parties that have responsibility for implementing decisions that come out of the game. Designing a strategy-oriented war game requires input from a much wider pool of stakeholders that are impacted by the strategy. Getting this input in the design stage is important to minimize the impact of any bias the designer may bring to the table. It’s a good idea to have different functions, organizational levels and viewpoints represented by the players in the game. And where possible, assign some of the key players to stakeholder teams that are less familiar to them. For example, get some IT folks on the team representing customer service. You may come up with creative solutions to problems you otherwise wouldn’t have with a group of like-minded individuals. War game participants are not limited to people internal to the company. More often today vendor partners are considered key stakeholders in many business processes and must be represented in the game. If you’re conducting a cyberwar game, you may need to have participation from external parties such as law enforcement or your outside legal counsel. 3) Conduct relevant research for the game and create the playbook. Players will need to be armed with essential information to play the war game. The information to be compiled will depend on the subject of the game. Communicate the nature and purpose of the game. Publish playbooks and ask Players to review in advance of Game Day. Decide the number of rounds to be played. In the first round of the game, players use the information and tools that were supplied to them. In subsequent rounds, an opposing team or the facilitator can inject new factors that each team must consider for the next course of action. The term “hot wash” originated in the US military to describe the debriefing of personnel immediately after they returned from a mission or patrol, to get their thoughts while they were still top of mind. At the end of each round, have a means for each team to capture and analyze the outcomes and any associated facts. Each team documents conclusions they’ve drawn to scenarios and the outcomes. As a result of their experiences in the war game, they will recommend strategies/actions that should be taken, and present the findings to the other teams. Each team should also talk about the key lessons regarding the stakeholder roles they portrayed. Everyone debriefs on the war game exercise overall (plus/delta). Summarize the strategic conclusions that were reached. Provide details of each of the strategies presented during the game. Present the specific actions and decisions recommended by the team. It isn’t easy staging a war game. I would urge you to engage a non-biased third party to manage the implementation, and even serve as the facilitator. A good third-party consultant will be willing to train-as-you-go so that you are knowledgeable in running a game on your own at the end of the process. This topic is the second in a 3-part series on War Games with our special guest Caren Shiozaki. For the blog series, sign up for notifications seprio.com/blog. 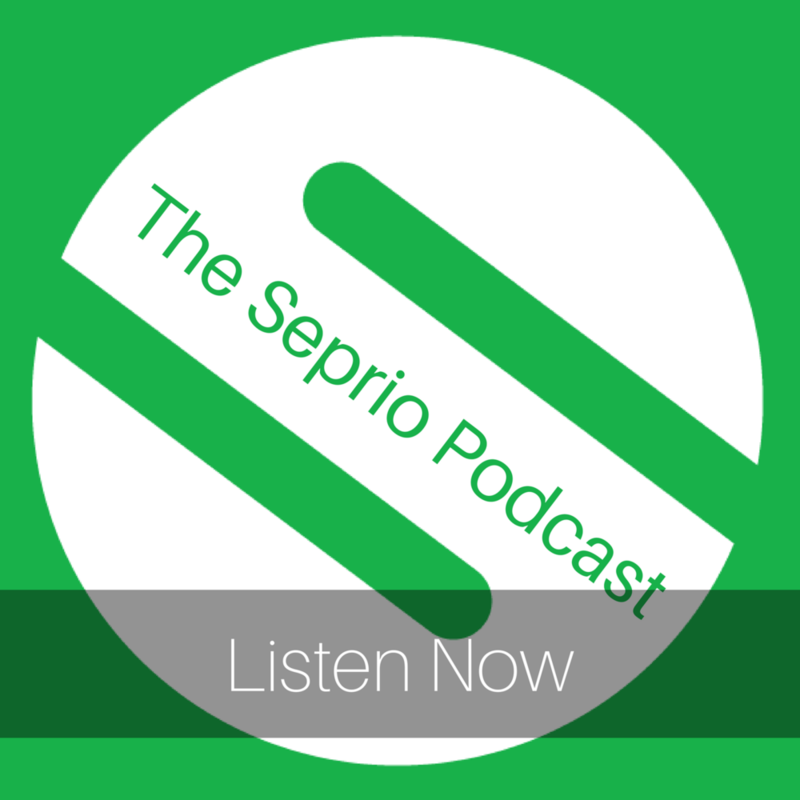 For the podcast visit seprio.com/podcast. If you’d like to explore the value of war gaming in your environment, visit seprio.com/wargames. Protecting business priorities when partnering with vendors grows more complicated every day. Because of constraints in resources and expertise, many teams find themselves at a disadvantage managing vendor evaluations, negotiating terms, and securing fair financial value. Overcome those constraints, reduce risk and preserve fiscal health. Seprio... Protect your business priorities. Contract better. Older PostWill they Pass the Test? War Game with Key Vendors and Find Out.